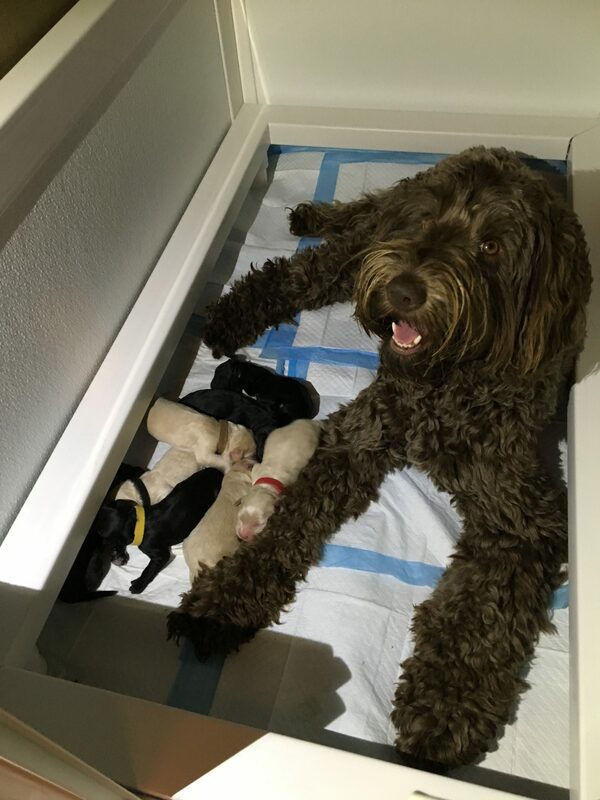 Sadie gave birth to eight healthy puppies on March 7! There are six boys and two girls. Four are a beautiful satin black with white tuxedo chest markings, and four are a dreamy champaign cream with white markings on their heads and chests. Jack (also known as Eden Valley’s Jack Frost) is from Eden Valley Labradoodles, and he comes from a long line of multigenerational labradoodles with therapy dog temperaments. Sadie and Jack’s puppies should be ready to go to their new homes in early May. This litter is fully reserved. Submit your application to get on the list for one of Sadie’s puppies in the future. The puppies will have wavy fleece coats and should mature between 35 and 55 pounds. 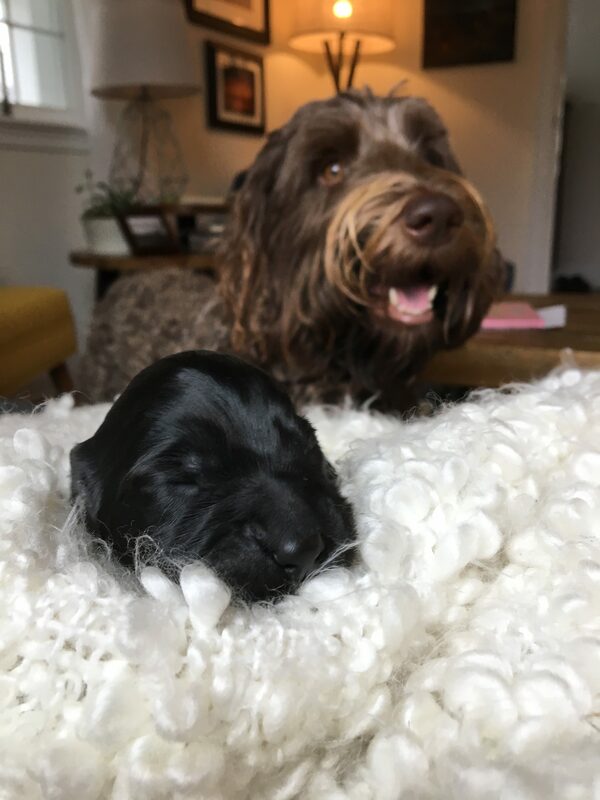 Here at Shire Haven Australian Labradoodles, we take great pride in providing service, therapy, and companion puppies to families in central Virginia, the greater mid-Atlantic region, and around the world. We only produce 1-2 litters annually and are very serious about following quality breeding practices. Our breeding dogs come from the very best genetic backgrounds and have all gone through a series of intensive screening health tests to ensure healthy andquality puppies for your family. Follow along on social media for more frequent photos, videos, and updates! 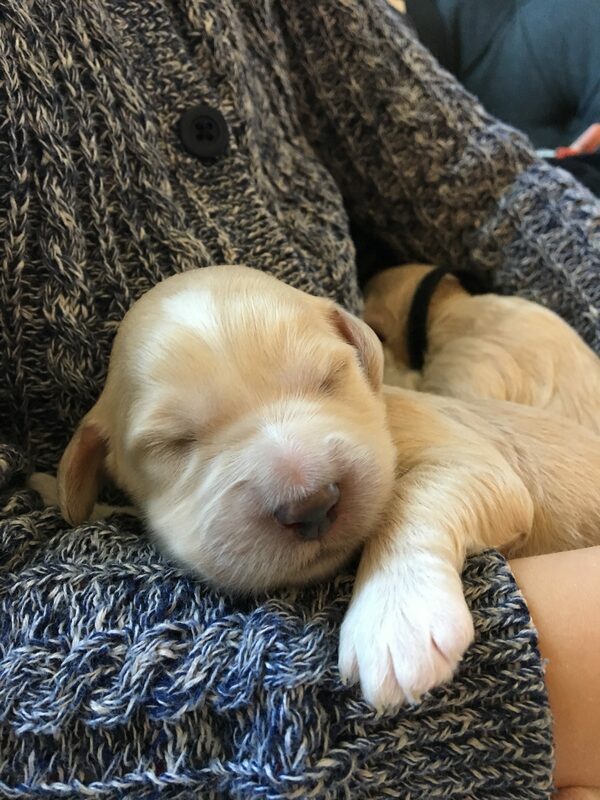 © 2019 Shire Haven Labradoodles. All Rights Reserved.